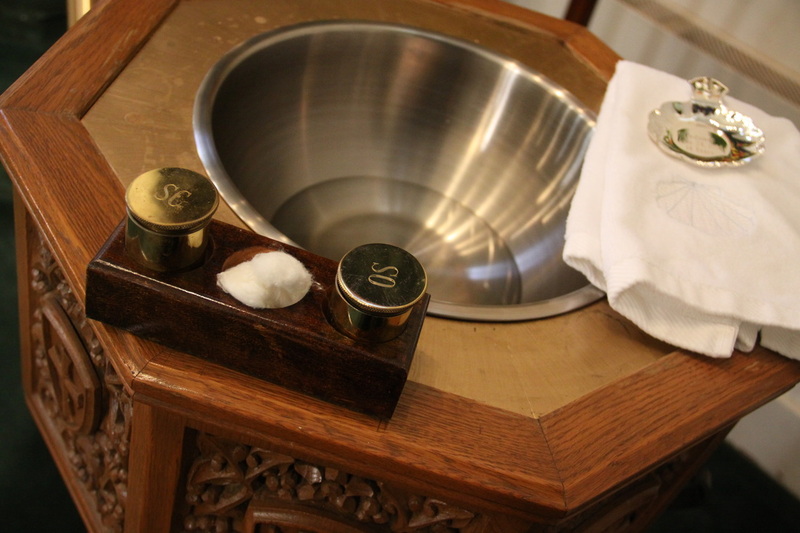 In the Sacrament of Baptism we become members of the family of God. This initiation of grace welcomes children or adults into the inheritance we claim through Christ. Parents who are anticipating the birth of their first child and wish the child to be baptized are invited to meet with Father and discuss the commitment made through the Sacrament of Baptism. Parents are also asked to attend a retreat style seminar that introduces them to other young family’s in our parish and encourages them to reconnect with their faith and their relationship with God. Our parish Baptism Program continues outreach to the families with semi-annual communications, as well as a yearly family get-together. Our commitment to nurturing families continues as the children become active participants at Mass by attending Children’s Liturgy of the Word, and enrolling in Faith Formation Classes.